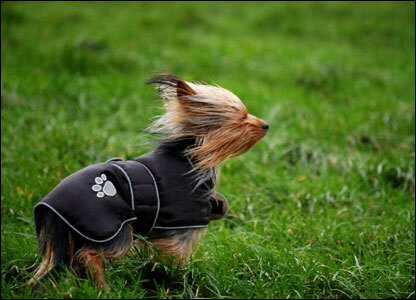 BBC News website readers have been sending in their pictures of the windy weather in the British Isles. 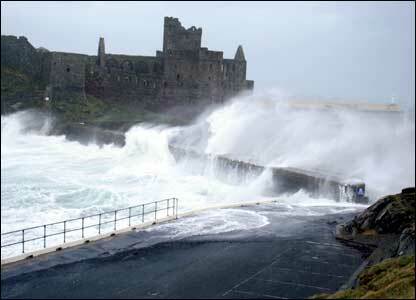 Dave Kneen: "I took this at high tide this morning at Peel Castle, Isle of Man." Tim Brown: "Walking the dog on Harrow on the Hill." 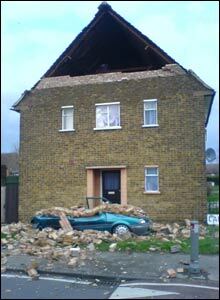 Jason Stewart, from Enfield, Middlesex, said: "You can see a house that has had part of its walls blown out." 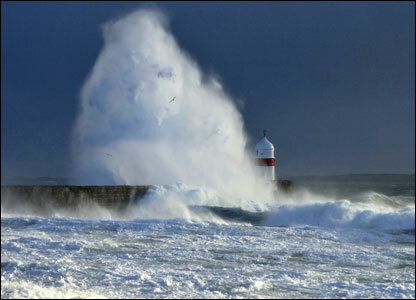 Barbara Callister: "This picture was taken at high tide in Castletown this morning. I had a hard job standing against the wind." 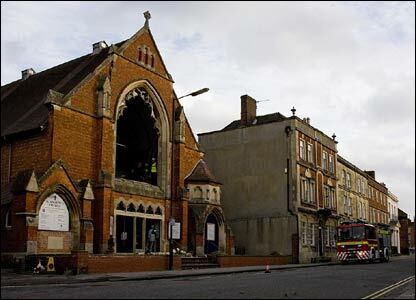 Richard Edwards: "The stained glass window was blown in at St Andrews Church in Devizes, Wiltshire." 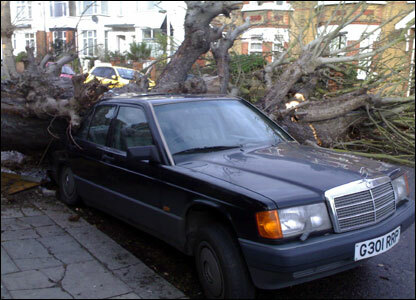 Ali Hosin: "This is a car having been severely damaged by a falling tree following strong winds in Frognal, Hampstead, north west London." 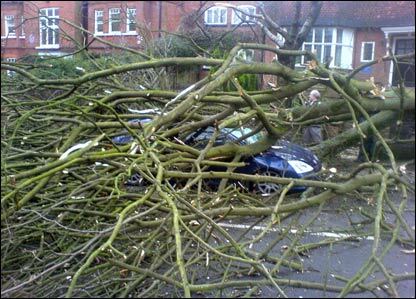 Deon Cotgrove: "I took this on my mobile of a large tree crushing a car on Windmill Rd, Brentford." 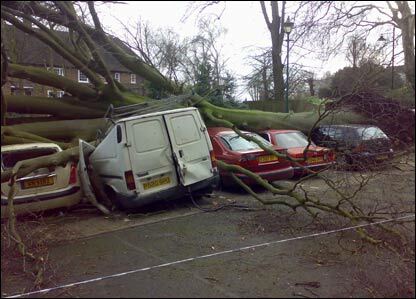 Seb Cardinal: "Nine cars were crushed in a drive way in Highgate, north London. A man was trapped in the white van and had to be cut out by the fire brigade." 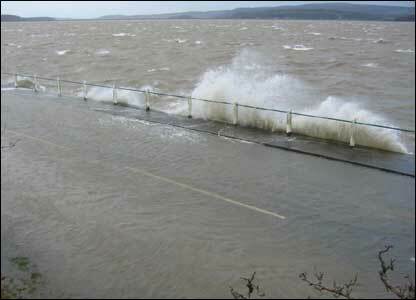 Mark Shipley: "In Sandside, South Cumbria, the winds have whipped the tide into a frenzy with wave crests reaching a height of about 1.5m." 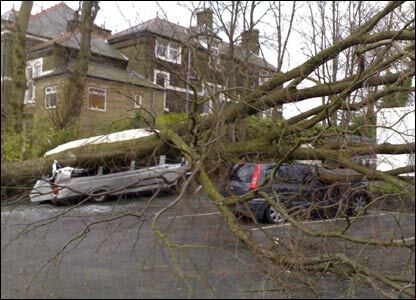 David Fergus: "A tree was blown over onto two vehicles in the car park of a working men's club in Burnley." 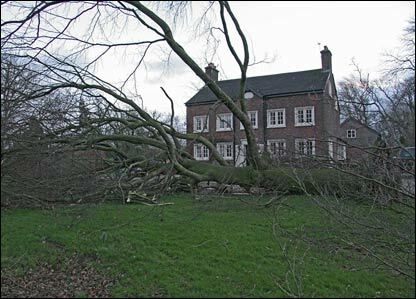 Bibhas Roy: "Guess we were lucky - it could have flattened our house." 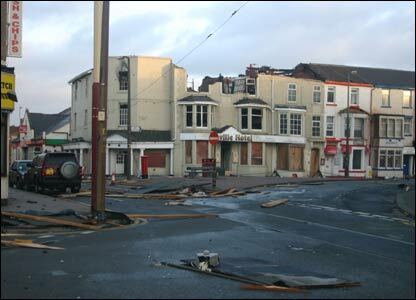 Gordon: "I've been snapping away around Blackpool town centre with my camera."